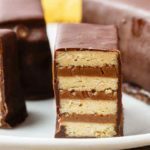 These amazing paleo quick bread bars taste like the breakfast version of the beloved Ben & Jerry’s ice cream. 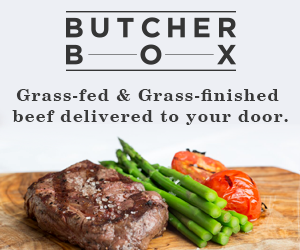 Paleo-style, and with a vegan option! You’ll need almond meal, mashed bananas, almond butter, vanilla, tart dried cherries, chocolate chips, and more cherries and chocolate for a drizzly topping. 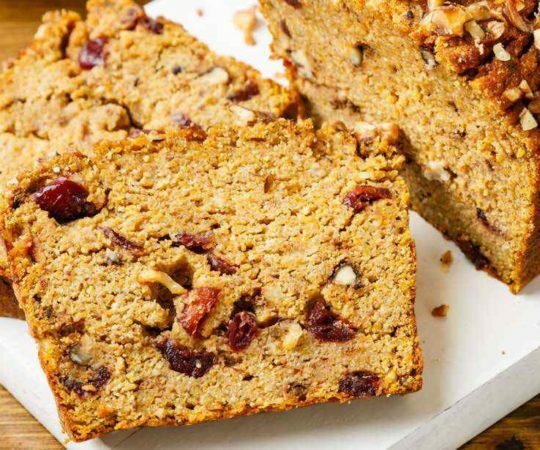 Carrot bread might be a sneaky way to get extra veggies into your kids. Try this yummy version sweetened with coconut sugar and made with almond, tapioca, and coconut flours. It’s got a whole cup of grated carrots along with options of walnuts and golden raisins. 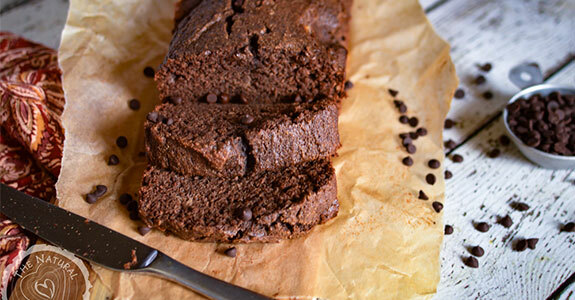 This bread is so delicious you don’t even need any sweetener besides bananas. 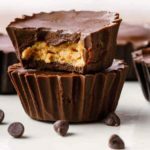 Of course, paleo eaters may object to the peanut butter, so you can easily replace it with almond, cashew, or even sunflower seed butter. The flavor will be different, but still just as good. 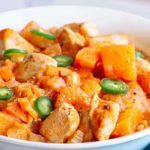 If you’re anything like me, you end up with a lot of butternut squash in your pantry for a long time after getting a little overexcited when it comes into season. This bread is the best way to use it up when you get sick of roasting. 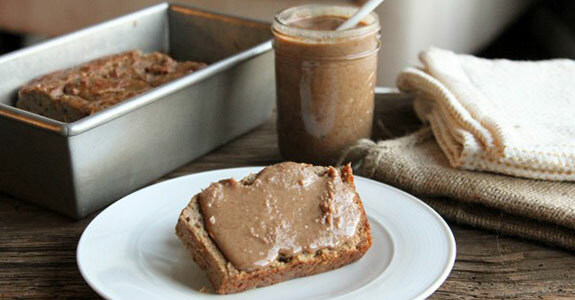 Almond butter makes it rich and you only need a tablespoon of honey to sweeten. Ah, the fall favorite: pumpkin bread. 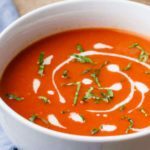 This version is made with eggs and coconut flour, and has an option to use maple syrup as the sweetener for a low FODMAP diet. Personally, I love maple syrup so much that I would just use it no matter what, especially with fall flavors. 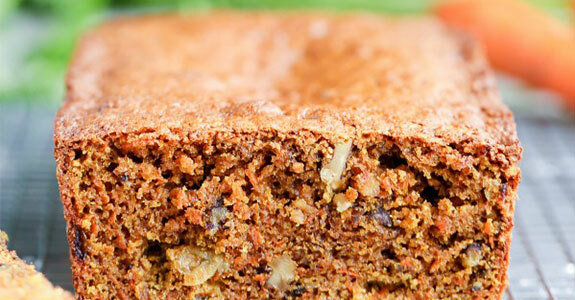 This maple-sweetened zucchini bread is spiced with vanilla, cinnamon, and nutmeg. Coconut oil provides lots of healthy fats in a bread that gets more of its structure from protein-rich eggs and coconut flour. Yes, this is an all-coconut flour recipe! This almond bread is made with almond and coconut flours and has a lovely savory rosemary flavor with hints of flax. 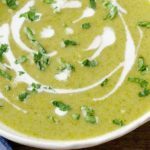 The recipe calls for coconut oil or melted butter, and I think I’d definitely pick butter here because it would be so lovely with the herbal flavors. Pancake bread? Yes. 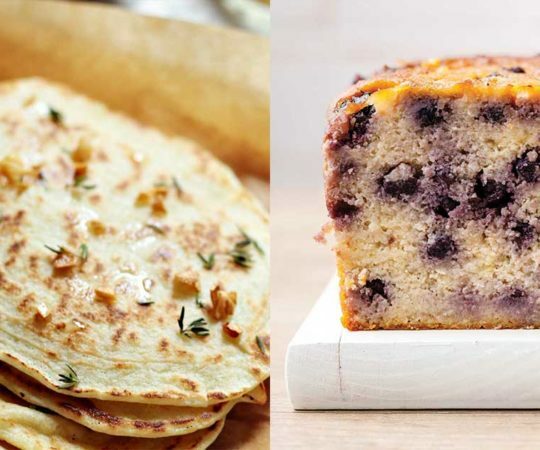 This quick bread will remind you of delicious blueberry pancakes, and you can certainly enjoy it the same way for breakfast. The full fat coconut milk and butter or coconut oil will keep you full, and the tigernut flour creates an awesome texture. This almond-based bread is perfect for dessert or breakfast, because it has only 2 teaspoons or honey in the whole loaf! Even the frosting has just a teaspoon, which is optional. 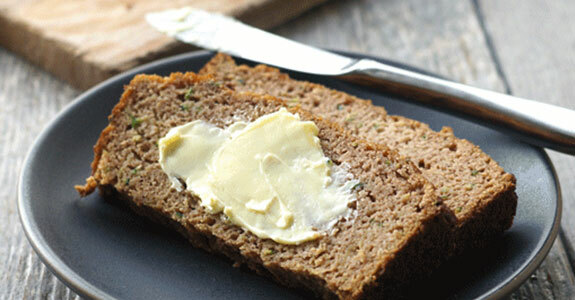 This is a healthy, protein-rich bread you can feel good giving your family any time of day. 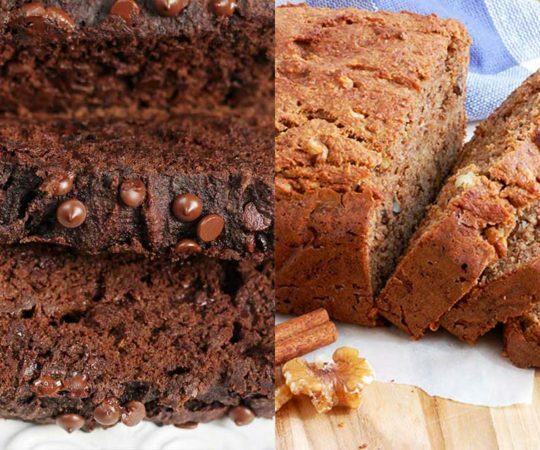 I can never decide if I prefer my banana bread spiced with cinnamon or sweet with chocolate. 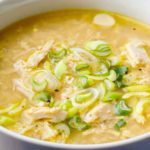 Thanks to this recipe, I don’t have to choose! 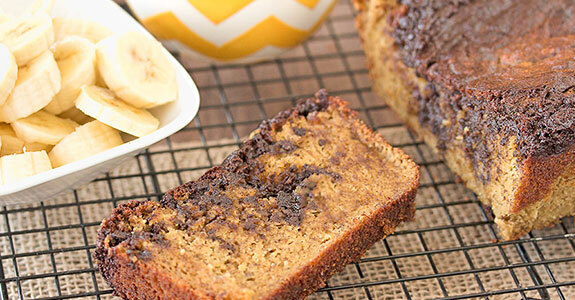 Have the best of both worlds with this yummy banana bread featuring and ooey gooey chocolate buttery cinnamon swirl. With homemade dairy free Irish cream, you know this bread is going to be something wonderful. 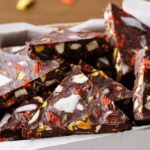 You’ll need the likes of almond flour, Irish whiskey (for strict paleo, see the notes), brewed coffee or espresso, coconut sugar, vanilla, and more. This bread has an awesome tropical flavor with coconut flakes, coconut sugar, coconut oil, fresh lime zest and juice, and crushed pineapple. You’ll make a streusel for the top made from coconut flour and macadamia nuts (what else, on a bread like that?). If you prefer not to mess with flour combinations when trying to bake without grains, try this insanely easy sunbutter banana bread recipe using eggs, bananas, maple syrup, coconut flour, and sunflower seed butter. Only one type of flour needed! If you’re looking for a holiday-worthy quick bread, look no further than this eggnog bread made with almond flour and sweetened with Swerve. 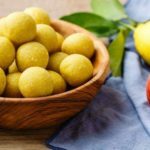 The recipe calls for whey protein powder, but you can replace it with any paleo-friendly protein powder. Don’t forget the rum glaze! This bread is all I need. And once you taste it, it’ll be all you need, too. 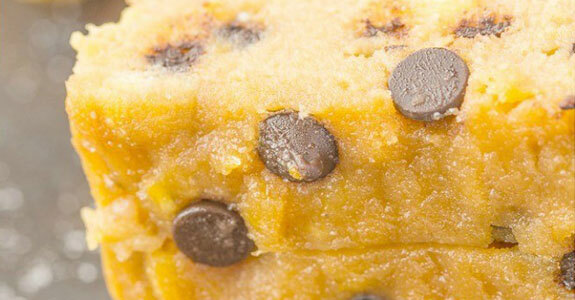 Make it with eggs, cashew butter, pumpkin puree (you can’t taste it), maple syrup, butter (or ghee or coconut oil), vanilla, cocoa powder, and deliciously chocolatey chocolate chunks. I can’t get over the combination of flavors in this bread, with lemon, gingerbread, and pumpkin. So yummy! You’ll love the richness the coconut milk adds, along with the gingerbread flavor from molasses and spices. The lemony glaze brightens everything up with lemon zest, vanilla, and more. I’m a huge fan of raspberries in breads, cakes, and muffins, so this is one of my favorite paleo bread recipes. It’s also made with almond meal, my favorite paleo baking flour! And almond butter makes it rich. I’d just switch out the honey for maple ’cause I love it. 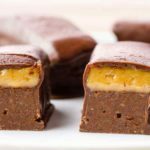 This recipe uses a bit of coconut flour and almond butter, but most of its structure comes from the bananas themselves. This bread is sweet and delicious with a fudgy texture moreso than a bready one, so I went pretty wild over it (plus, chocolate). 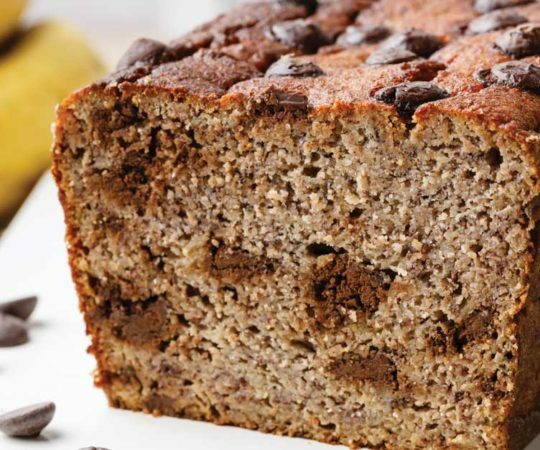 This is another fantastically chocolate and banana-laden paleo bread. The chocolate is all melty and gooey. So good! You’ll need ripe bananas, honey, vanilla, almond butter, eggs, coconut flour, sea salt, dark chocolate chips, and baking powder and soda. That’s it! Do me a favor: just look at this bread. Look at that bread, and tell me it doesn’t look like “normal” bread?! 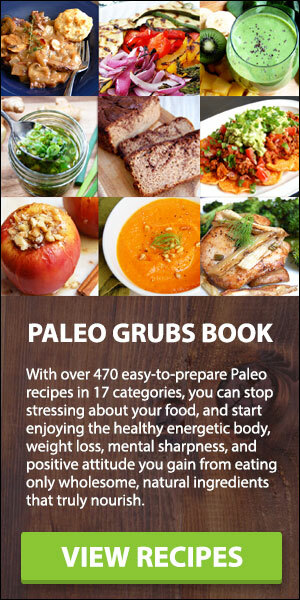 I can’t wait to try this recipe using flax, psyllium husk powder, and almond flour. Beyond that, all you need is egg whites, salt, baking powder, and vinegar. I love zucchini bread because it feels naughty, but it has a vegetable in it! For this one, you’ll need coconut flour, sea salt, cinnamon, eggs, raw honey, coconut oil, and a ripe mashed banana for extra flavor, structure, and sweetness—it keeps this bread moist! 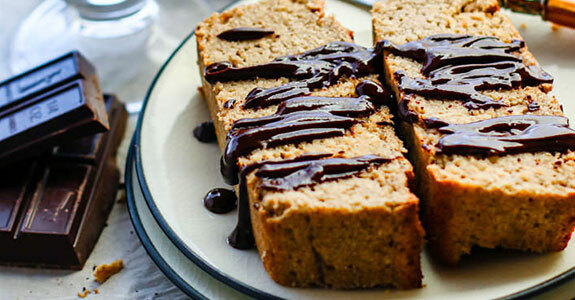 This banana bread is made with coconut milk, cinnamon, honey, coconut flour, and cashew flour. I love the use of cashew flour, but I’m even more in love with the bacon pecan butter. I love pecan butter, and when you add bacon you just take it to the next level. 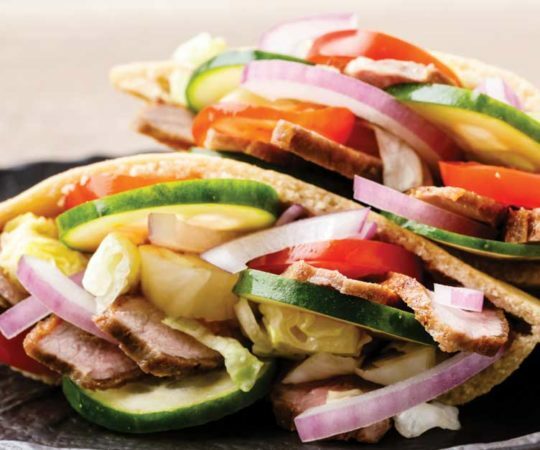 Easy on the body, this paleo bread works for anything from sandwiches to French toast. 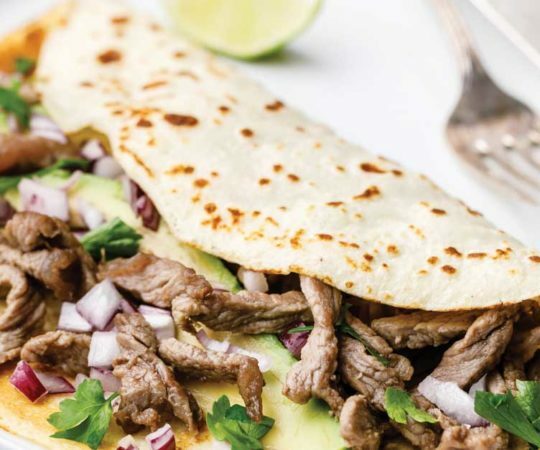 You’ll love that it only has a few ingredients. All you need is eggs, butter or coconut oil, apple cider vinegar, almond meal, ground flax, coconut flour, and baking soda. 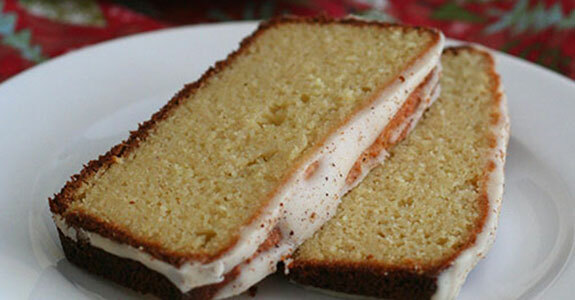 Quick bread usually means banana bread, zucchini bread, pumpkin bread, and other novelty breads. But you can make quick bread for sandwiches, too! This sandwiches bread is made with cashew butter and just a touch of coconut flour. The flavor is amazing. This lemon poppy seed bread is made with almond flour, coconut flour, honey, coconut oil, lemon juice and zest, cashew milk, and poppy seeds. It makes an awesome bread for breakfast or for afternoon tea with friends. This bread is fudgy and chocolaty and sweetened with maple syrup or honey (you know by now that I always pick maple). The vanilla extract adds a depth to the flavor, and the only flour you need is a half cup of sifted coconut flour. Easy! Topped with freeze dried strawberries and chocolate chunks, this cashew-based bread is full of flavors of chocolate, bananas, and vanilla. You’ll need a whole chocolate bar chopped up in it, so choose a high-quality brand. This is the fluffiest bread, with eggs, toasted sesame oil, sunflower seeds, psyllium husk powder, ghee, caraway seeds, and more. 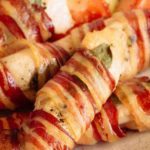 It’s easy to make and suitable for the ketogenic diet as well as paleo.